A simple dish to make that’s delicious and healthy. With this little tool you can make a variety of dishes to enjoy just like you would noodles-but guilt free! For this recipe I used four baby green zucchini. I cut one end off and fed it into the zucchini pasta maker. Simply twist the zucchini into the tool and out comes a noodle-shaped product. Easy Instructions: Boil one small pot of water, adding salt if desired. 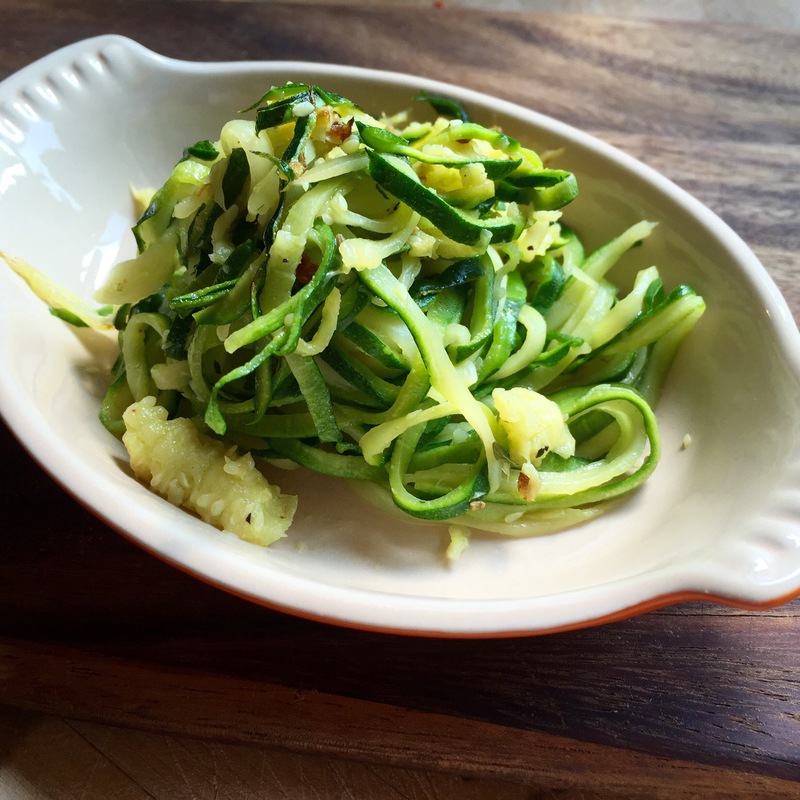 Cook the zucchini pasta for 5 to 7 minutes or until tender and strain in a colander. In a separate pan heat up olive oil and pressed garlic. Add zucchini pasta. Stir fry on medium heat for approximately 3 to 4 minutes. Season to taste with salt, pepper and herbs. this looks so good!! we just had spaghetti squash for dinner a couple nights ago! !